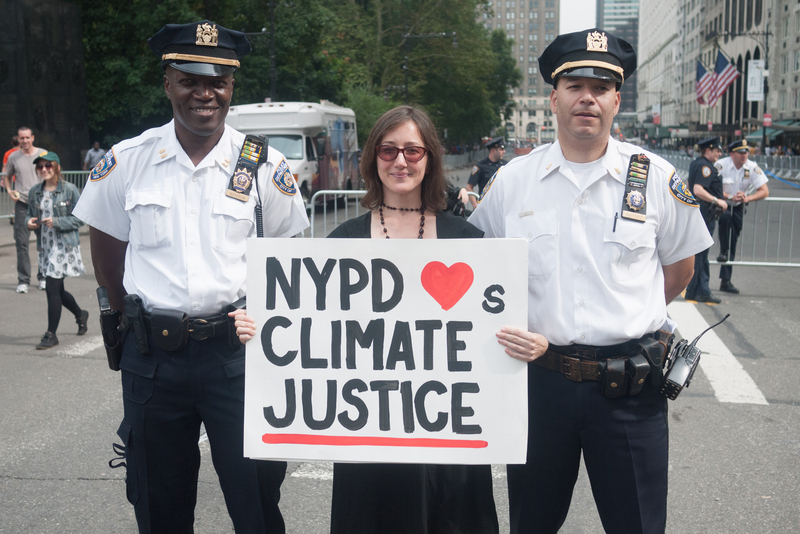 Often in political marches, the police and those marching are painted in opposition, but one of the purposes of the People’s Climate March was showing that the climate crisis affects everyone. 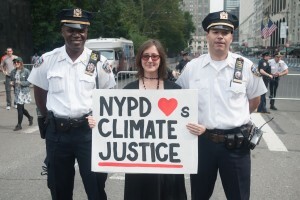 These photos are a reminder that the climate crisis cuts across politics, and allows the NYPD to become participants (or at least be photographed alongside participants). Steve Lambert is also the co-director of the Center for Artistic Activism. Note: Officers mentioned to us they are not allowed to make political statements. These photos are not meant to show any endorsement by individual officers, and only demonstrate good will towards the participants.